We offer Office solutions that complete all your business office needs; Word for word processing, Excel for finance, accounting and budgeting, and much more to provide a complete office solution. Depending on your business needs we can install the Microsoft Office on individual stand alone devices, network and integrate all your devices on your local area network, or integrate your office via the cloud. We will work with you to find a solution that best fits your needs. Microsoft Office is considered the industry standard for all business office systems. We offer Office 365 and have Office 2016 available for your business. We have the expertise to help you plan a complete system that can expand along with future business plans. Having an office system that can scale to your changing needs will keep your work-flow productive and efficient long into the future. 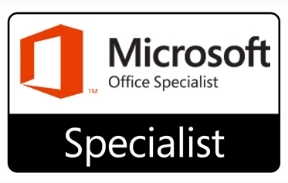 We install and configure all the Microsoft Office products we sell and represent. And just as important we test and validate the installation and configuration to insure they meet your business expectations. If you are currently using a non-Microsoft Office system or an older version of Microsoft Office we can migrate all your data into the most current version of Microsoft Office. We can integrate all your information processing requirements into the Microsoft Office for a complete integrated office system. Users can seamlessly and securely share documents and files with each other, bring spreadsheets into word documents, build and share customer databases, one-click email to customers, transfer data to and from the Internet, and much more. We do this for small businesses up to large enterprise systems. One of the most important components of office systems is training users. We offer simple one-on-one training, and we can train your trainers. We also provide group training on-site, and we provide remote training from our site where you never need to leave your office. We provide training form all Microsoft products. We provide on-going support for your staff to help solve any issue that may arise. Whether it’s a simple text formatting problem in Word or a more complex data mining from multiple sources. Graphing and integrating information into Word or PowerPoint while restricting access to only specific users’ issues. We can walk you thru and solve most all support issues remotely but can also be on-site to support all your needs.